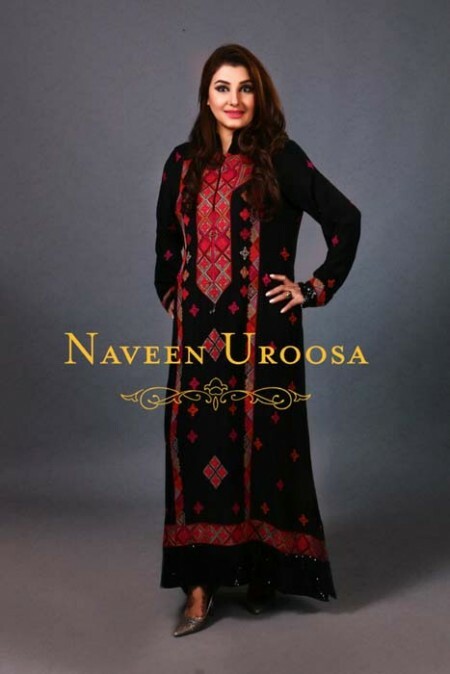 The fashion designer, Naveen Uroosa has designed the spring collection 2014 for the women and girls. 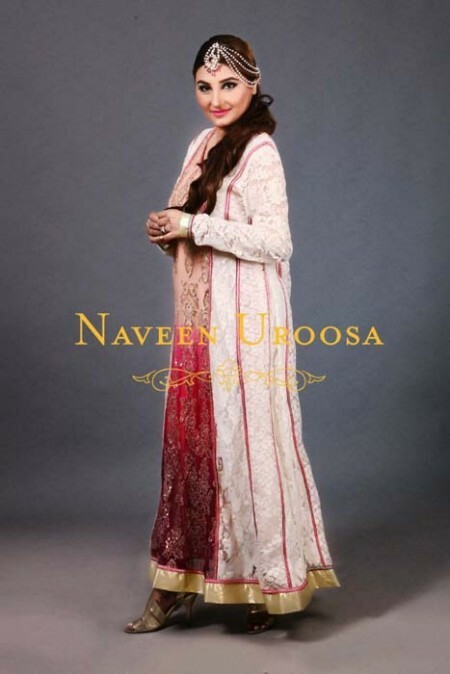 The fashion brand has exhibited the dresses in this collection with lace work and with the embroidery work and there are some of the simple dresses, which are great for the casual wear. The formal dresses are prepared the lace work and these are prepared with the borders and panels. In this collection, the vibrant and bright colors are used. All the dresses in this collection are prepared in various colors like green, black, red and blue and various feature models like Javaria, jjs and others showed the dresses. 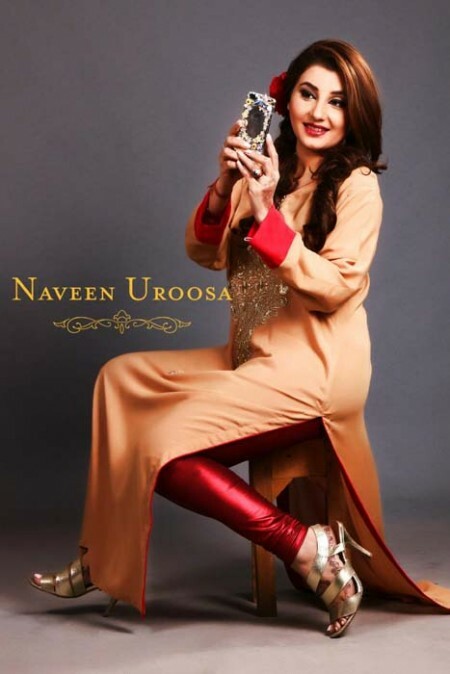 Wajid Khan has done the photography in this collection in Orange Fox Studio and this is the quickly emerging fashion brand in the country. This is the most talented fashion designer and it started working in the fashion field since 2013. This fashion brand has also displayed the dresses in formal, party, and casual wear dresses and also has the trendy stitching style. The fashion brand has exhibited its fashion dresses in other countries like UK, USA, Australia and Canada also.